In a previous post on home composting methods, you read about a few aerobic methods being practised by composting expert Vani Murthy. In this post, let us learn an anaerobic method which helps you transform your kitchen waste into rich organic manure. 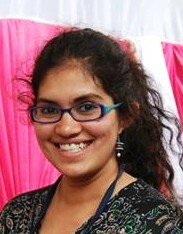 Vani Murthy uses Smart Bin, a product that is available in India to compost anaerobically. The Bin comes as a pair of buckets that can be kept under the sink and a packet of microbes. Subsequently, the user has to buy only the microbes on a regular basis to keep the system going. “This system is especially useful for working couples who don’t have time to take care of an aerobic process. Since this system requires very little time and effort on a daily basis, it works very well and another advantage is that the system takes in meat, dairy products and cooked waste with no issues at all,” says Vani. What you need: The smart bin kit (two bins and a packet of microbes) or any other similar product. Stage 1: Fermentation or pickling in the bin that is to be kept tightly closed to prevent air circulation. The bin replaces your kitchen bin. Every time you add organic waste to it, sprinkle some microbes. Press down contents properly so that there are no air gaps. Keep the lid closed properly. The tap attached to the bin is to let out the liquid collected in the bin. The liquid, also called leachate, can be used as a soil activator as it is very beneficial to plants when diluted or it can be poured down the drain to clean it. Once full, keep aside and start using the other bin. Follow the same process. Stage 2: This is when decomposition takes place. After the bin is full leave it for two or three weeks to pickle. Store this mix in either a big drum/basket/clay pot. The container should have some air circulation to let the mix breathe and break down. This process will take about two weeks. There may be strong smell only when the lid is open, but the smell dissipates when you close it. Stage 2 will require anywhere between 20-30 days. Waste management and composting-crazy person; addicted to sports and books. Shyamala loves people, animals, the gym, conversations and growing organic food. This entry was posted in Home composting and tagged anaerobic home composting, composting, Greentechlife.com, home composting methods, microbes, Shyamala Suresh, Shyamala Suresh Vani Murthy uses Smart Bin, Smart Bin, Vani Murthy. Bookmark the permalink. Endlessly innovation …….Endlessly common sense…. Good Luck ..
where can i get this smart bin??? I am sure you meant Stage 2 takes 20-30 days and not minutes as seen in your post! Btw, great post!